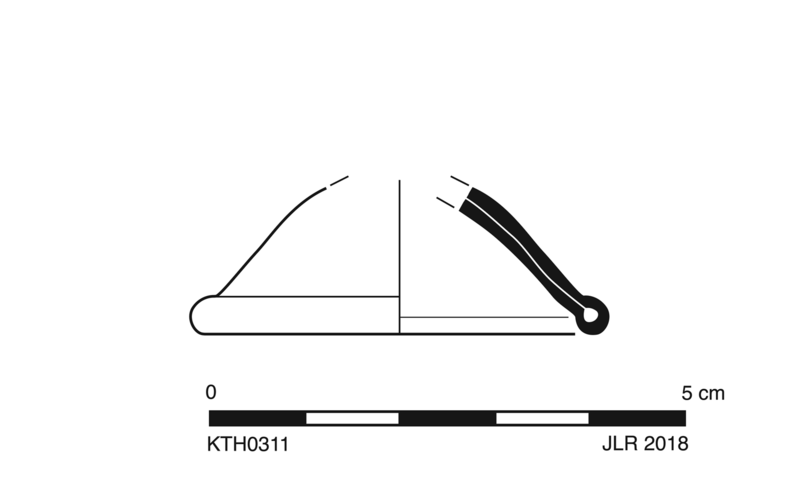 Tubular base ring of folded glass on high conical foot. Faint blowing spirals. Light yellow with tinge of green (PMS 7499C), semitransparent. Frequent pinprick to small, spherical and elongated bubbles. 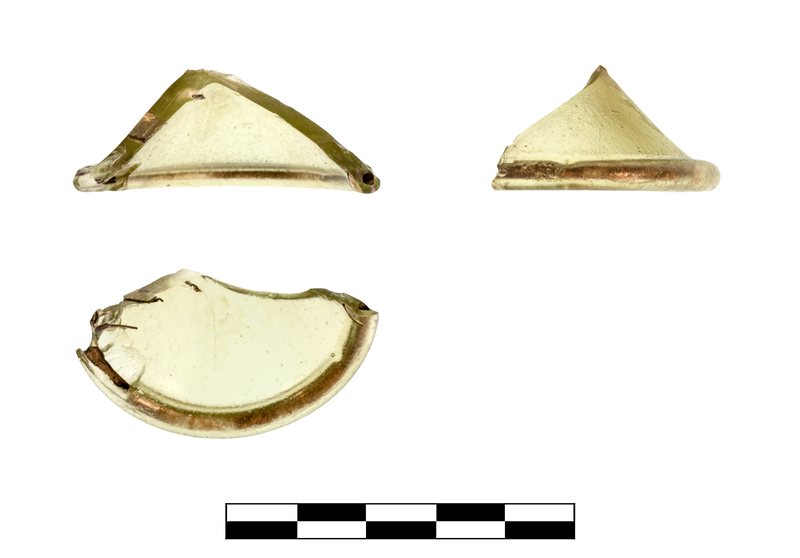 One fragment preserves roughly one half of base. Slight, sparse dulling and iridescence; slight feather cracking around edge.